James Renner is kind of my hero right now. His book, True Crime Addict, is one of the best BOOKS I've read this year, that is not to say true crime books. (And I've read A LOT of true crime this year.) The book is equal parts true crime investigation and personal memoir, as James Renner works his way through the labyrinthine case of Maura Murray's bizarre disappearance. See, way back in 2004, Maura Murray disappeared. She drove into the New Hampshire sticks, wrecked her car, and then vanished. She hasn't been seen or heard from again. (Unless you consider all of those people who claim to have seen her in Canada.) It isn't a murder case, because there isn't a body, but it also can't really be your traditional missing persons case, because so many details just don't add up. True Crime Addict follows James Renner as he delves into the many, many rabbit holes of the Maura Murray disappearance. At first, Murray's missing persons case looks like yet another story of a pretty young white girl going up in smoke, but the more you look into it, the weirder it gets. First of all, Maura Murray was not the straight-laced young college student she was originally portrayed as. In fact, she had some personal issues that complicated the investigation. She was cited for minor credit card fraud for stealing a fellow UMass student's credit card and using it to buy pizza, subs, and whatnot. Secondly, she made some very curious decisions leading up to fleeing UMass. She had a meltdown at her job as a night guard at an art gallery, mumbling something about her sister when she was discovered sobbing uncontrollably. Not only that, she made some curious Google searches about drinking while pregnant, which doesn't say anything about the case, per se, but might shed some light on her mindset at the time. Finally, she lied to her professors about a death in the family, which she might have been using as a cover for a weekend at a ski resort. We know for a fact that she was calling about a multiple-bed option at a resort somewhere up north, which says she might have been traveling with more than one person when she vanished. Third, her dad, Fred Murray. Whoo, boy. So here goes. 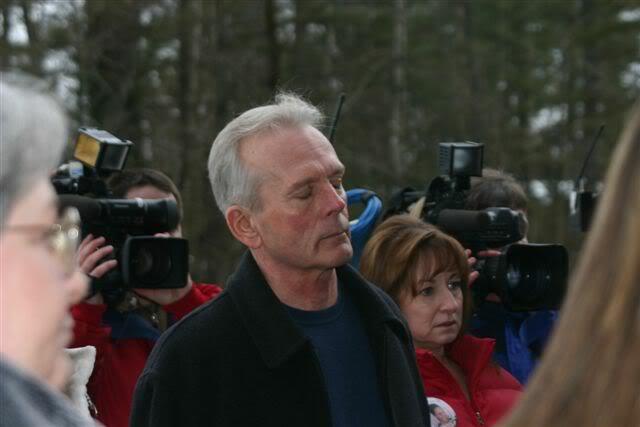 Fred Murray has been stonewalling the press ever since the disappearance of her child, and yet he has also stepped right in front of ways of making the investigation reach the conclusion that Maura was, indeed, forcibly kidnapped. The first item of contention is the $4000. Okay, so Fred Murray showed up at Amherst the Saturday before Maura disappeared -- two days later -- and pulled $4000 from ATMs, presumably to help Maura buy a car. Not only did they not buy a car, but we have no idea what happened to the cash Fred pulled from at least ten ATMs. Such a bizarre coincidence, isn't it? And there's so much more. Mr. Renner was kind enough to come onto the Principled Uncertainty Podcast and discuss all of these issues and more, which can be found in his wonderful book, True Crime Addict. I can’t wait to listen, but wasn’t it a dorm that she had her meltdown in, not an art gallery? You could be right. For some reason, I thought it was the night job she held where she freaked out. To the internet! Renner does not want you promoting his book. He feels it puts his family in danger. Ohhhhhh wait……if he can make a penny off it, it’s ok. Yes, I read repeatedly that she had that meltdown while she was doing her night job at the security desk at a dorm on campus.